Clare Bulb Co comment: Soak the corms in water before planting. We recommend planting them in trays of soil and then, when they show through, transplanting them to their final position. It saves accidentally hoeing them up. 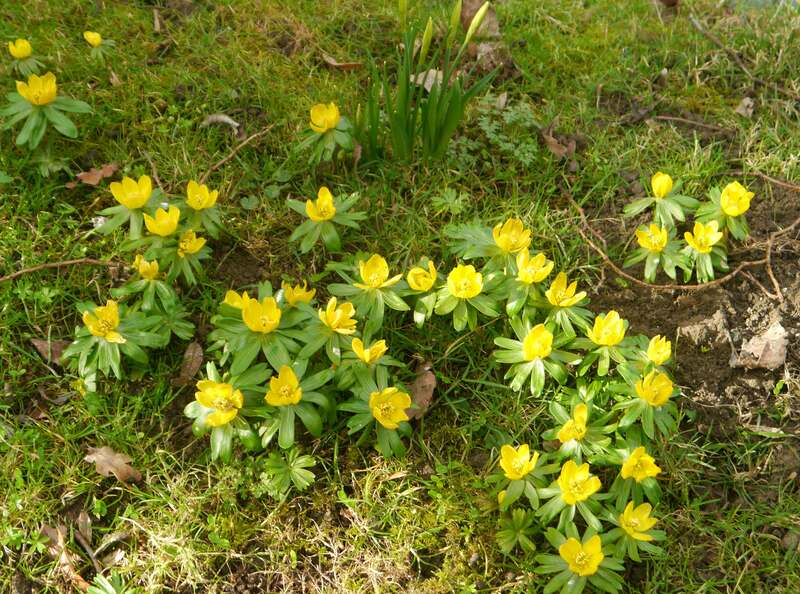 Aconites spread very readily, flowering early in the season, (sometimes before Christmas). 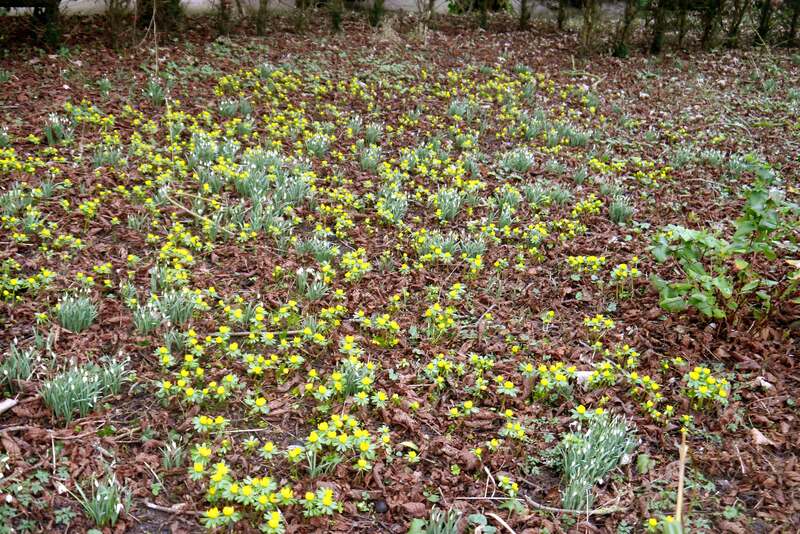 They will grow where little else will, such as we see in the lower picture against a large beech tree in our garden. (One of the Clare Bulb Company two kittens is taking an interest). 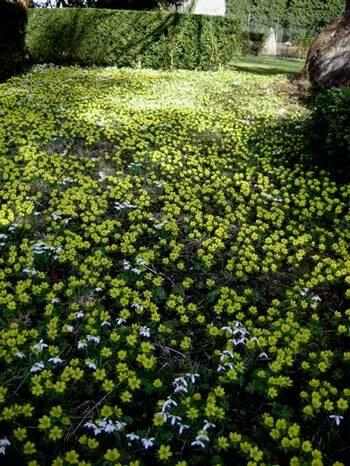 We also sell Aconites "in the green" in the spring. This is often a more reliable way of achieving a good result. Click here for the current order form.